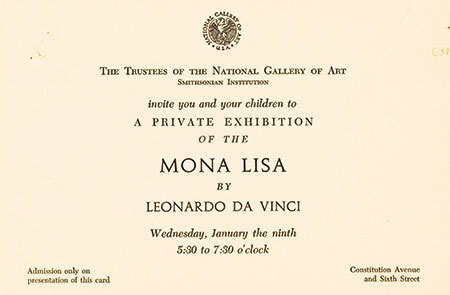 In December 1962, Leonardo Da Vinci's Mona Lisa set sail from Paris to New York for what many knew would be the riskiest art exhibition ever mounted. The fragile painting, sealed in a temperature-controlled, bulletproof box, traveled like a head of state accompanied by armed guards and constant surveillance. 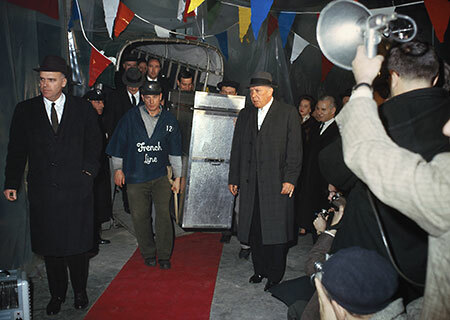 The U.S. Secret Service escorted the Mona Lisa along a red carpet as the painting was removed from the SS France at New York Harbor on the morning of December 19, 1962. The driving force behind the famous painting's high profile visit was First Lady Jacqueline Kennedy, who convinced French Cultural Minister Andre Malraux and National Gallery Director John Walker to share the masterpiece with the American people. She overcame the fierce objections of art officials who feared the journey would ruin the world's most celebrated smile, and “Lisa Fever” soon swept the nation as nearly two million Americans attended exhibits in Washington, D.C. and New York City. 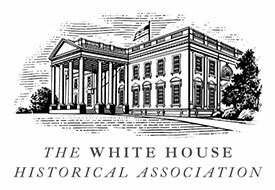 It was the greatest outpouring of appreciation for a single work of art in American history. And as only Jacqueline Kennedy could do, she infused America's first museum blockbuster show with a unique sense of pageantry that ignited a national love affair with the arts. 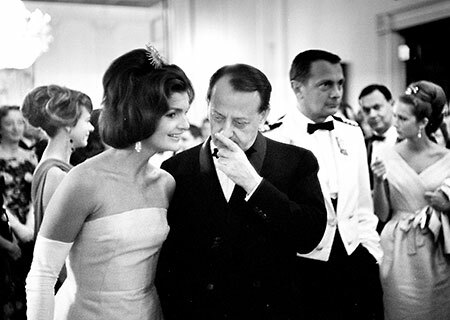 Following a White House dinner in his honor, French Cultural Minister Andre Malraux is said to have whispered a promise to Mrs. Kennedy that he would lend her the Mona Lisa. 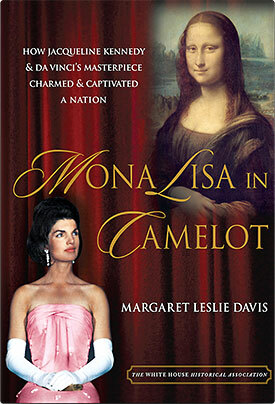 Gathering rare archival documents acclaimed biographer Margaret Leslie Davis has woven a tantalizing saga filled with international intrigue and the irresistible charm of Camelot and its queen. 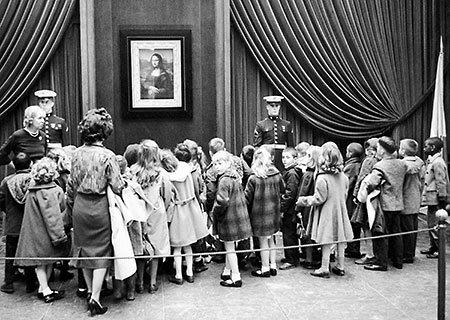 Guests of all ages visited the National Gallery to view the painting. 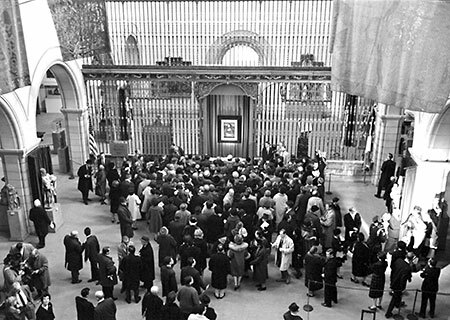 Thousands of visitors waited in line for the doors to open when on February 7, 1963, the Mona Lisa went on view to the public at the Metropolitan Museum of Art. 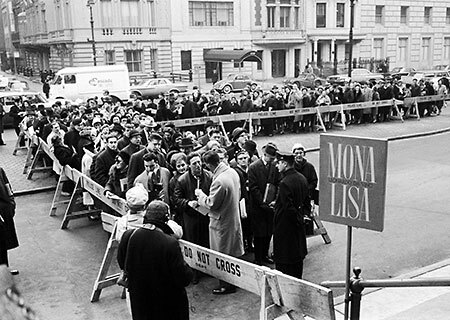 More than one million New Yorkers went to see the painting during the month-long exhibition, enduring winter cold and rain, as “Mona Mania” swept the nation. Safeguarded behind bullet proof glass the painting was handsomely displayed in the museum's Medieval Sculpture Hall. 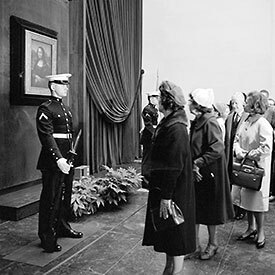 U.S. Marine Guards with bayonets kept watch in the National Gallery. The hygrothermograph, the instrument used to record climate conditions inside the museum, is visible beneath the painting. 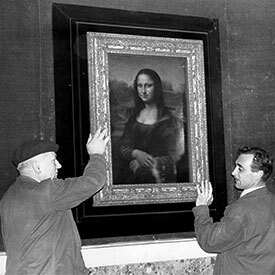 Officials at the Louvre prepare the Mona Lisa for her trip to America. Transporting the painting by air was considered too dangerous and French officials insisted that the painting travel by ocean liner. 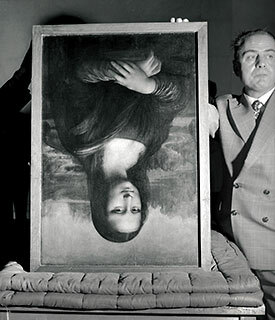 On December 14, 1962, the Mona Lisa by Leonardo da Vinci was removed from the wall at the Louvre in France, in preparation for transport to the United States. The painting was packed for transport in a fireproof and unsinkable steel trunk and loaded aboard the French liner SS France for its journey to America. 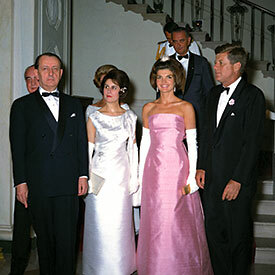 President and Mrs. Kennedy posed with their guests the French Minister of Culture and Mrs. Andre Malraux at the foot of the grand staircase on the evening of May 11, 1962, prior to a state dinner in their honor. The menu selected by Mrs. Kennedy included an elegant selection of French dishes.